Many people are intimidated by the Bible. 52 Ways to Ignite Your Congregation Bible Study will help alleviate the anxiety, fear and discomfort many feel when approaching the Bible. Whether your congregation wants to implement, rekindle or breathe new life into an existing group, readers will discover hands-on and how-to approaches to Bible study. Essex shares her many years of experience as pastor, teacher and author to help anyone feel more comfortable about studying the Bible and gain glimpses into who God is and God's love for us. 52 Ways to Ignite Your Congregation - Worship, the third volume in the 52 WAYS TO IGNITE YOUR CONGREGATION series gives pastors, lay leaders, and congregants 52 creative, effective ways to ignite and excite their worship services. Since 1979 Southern Baptists have been noisily struggling to agree on symbols, beliefs, and practices as they attempt to make sense of their changing social world. Nancy Ammerman has carefully documented their struggle. She tells the story of the Baptist reversal from a moderate to a fundamentalist outlook and speculates on the future of the denomination. Ammerman places change among the Southern Baptists in the context of the cultural and economic changes that have transformed the South from its rural past into an urbanizing, culturally diverse region. Not only did the South change; Southern Baptists did as well. Reflecting this diversity, the Southern Baptist bureaucracy was relatively progressive. During the 1960s and 1970s, moderate sentiments prevailed, while fundamentalists remained on the margins. These two were, however, becoming increasingly divergent in what they considered important about being a Baptist, in their views about the Bible, in their attitudes on the origination of women, on Christian morals, and on national politics. Late in the 1970s, a fundamentalist coalition emerged, followed by unsuccessful efforts by moderates to oppose it. The battles escalated until 1985, when 45,000 Baptists gathered in Dallas to decide between contending presidential candidates. That dramatic event illustrated the extent to which organized political resources were determining the course of the conflict. Ammerman studies these strategies and resources as well. 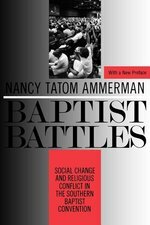 Examining how this tension affected Baptists, Ammerman begins with case studies of the change it is producing in Baptist agencies. But she also brings us back to the local churches and individual believers who are renegotiating their relationships within their denomination. She asks whether the denomination's polity can accommodate an increasingly diverse group of Baptists, of whether the only way dissidents can have a voice is through schism. Shurden examines the meaning of being Baptist by chiseling a Baptist profile and identifying freedoms commonly found in Baptist sermons, addresses, and confessions of faith. 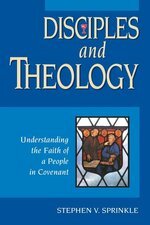 Originally published in 1962 and revised in 1991, this practical volume has long been an invaluable resource to clergy, laity, and seminarians alike. For the 50th anniversary of the classic text, editor David Gregg brings his insights as a theologian, pastor, polity instructor, and member of the General Board. The Second Revised Edition features revisions in content and style and include a new foreword by current ABCUSA General Secretary Roy Medley, a new chapter on "Autonomy and Interdependence," and contemporary updates to the chapter on "Ecumenical Relationships." Significant revisions in "Regional and National Organizations" reflect the new by-laws passed at the 2011 Biennial Convention. The result is volume more relevant to today's ministry yet retaining the deftness, insight, and historical acumen for which Maring and Hudson were known. This extensive resource traces significant aspects of Baptist history from the seventeenth through the twentieth centuries. It surveys basic beliefs, events, and experiences evident in Baptist communities. Leonard explores the effect of the Baptist identity on not just America, but on the world, and includes the emergence of English, British, Irish, and Caribbean Baptists, to name a few. Also skillfully covered is the influence of the Baptist faith in the United States, including the development of African American Baptists and the numerous denominations that emerged in the twentieth century. The Puritans called Baptists "the troublers of churches in all places" and hounded them out of Massachusetts Bay Colony. Four hundred years later, Baptists are the second-largest religious group in America, and their influence matches their numbers. They have built strong institutions, from megachurches to publishing houses to charities to mission organizations, and have firmly established themselves in the mainstream of American culture. Yet the historical legacy of outsider status lingers, and the inherently fractured nature of their faith makes Baptists ever wary of threats from within as well as without. In Baptists in America, Thomas S. Kidd and Barry Hankins explore the long-running tensions between church, state, and culture that Baptists have shaped and navigated. Despite the moment of unity that their early persecution provided, their history has been marked by internal battles and schisms that were microcosms of national events, from the conflict over slavery that divided North from South to the conservative revolution of the 1970s and 80s. Baptists have made an indelible impact on American religious and cultural history, from their early insistence that America should have no established church to their place in the modern-day culture wars, where they frequently advocate greater religious involvement in politics. Yet the more mainstream they have become, the more they have been pressured to conform to the mainstream, a paradox that defines--and is essential to understanding--the Baptist experience in America. Kidd and Hankins, both practicing Baptists, weave the threads of Baptist history alongside those of American history. Baptists in America is a remarkable story of how one religious denomination was transformed from persecuted minority into a leading actor on the national stage, with profound implications for American society and culture. This resource explores the believing, caring, and doing dimensions of the United Church of Christ (UCC). In addition, it discusses the UCC's inter-relation of its theological orientation--as found in key texts, traditions, and movements--its ecumenical commitments, and its deeds of justice and peace. Beyond Resistance is a template for those devoted to the the idea that faith should be just, generous and inspire commitment to the common good. The rise of postmodernity and its influence on the expression of faith are not the cause of religion’s perceived diminishment in capacity, relevance, and impact. To the contrary, both the Institutional Church and those who hold faith in a postmodern key can—and should—be allies in a common cause. What is unfolding is nothing short of a second Reformation, and this Reformation (unlike the previous one) can unite both the change agents and the changing institution as partners on the same playing field. This book addresses the realities faced by what too many have called a dying institution. 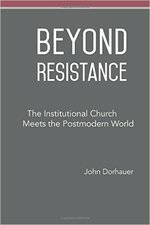 It is a call to move the institutional church out of a modality of denial and into a perspective of hope; out of a paradigm of scarcity and into a world of possibility with a growing multiplicity of options and allies; out of a time of end-game scenarios where only the fit will survive, and into what James Carse calls an “Infinite Game,” where those who play ensure that the game continues long after they have left the field. The comma is a simple mark of punctuation. It separates all that has come before from whatever is to follow. Likewise, on the journey of life, we encounter those "comma times, "some intricately planned and self-created (a sabbatical; a day of reflection; a solitary prayer); others are imposed, sometimes violently or without warning, by external forces. 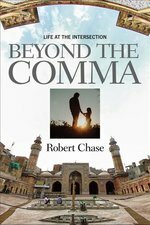 This book challenges the reader to be attentive to those moments. They literally give us pause. And, in those times, we are increasingly aware that life consists of multi-layered intersections, some deeply personal; some corporate, even global. As we engage these intersections and explore their interrelationship, we become more whole. Through personal memoirs and reflections on public events, the narrative in this book explores these intersections and seeks to offer insights to readers as they seek to navigate the waters of their own lives. 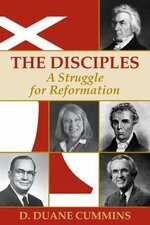 The Disciples: A Struggle for Reformation is the most current and comprehensive book on the total history of the Christian Church (Disciples of Christ). Furnishing information on the past two centuries of the denomination, Cummins follows the writings of Disciples' history and reformation. The Evolution of a UCC Style focuses on the development of themes that define the United Church of Christ (UCC). Walker examines the ethos and culture of the UCC rather than simply describing its structures, and addresses the themes of inclusiveness, diversity of theological heritage (Reformation, Enlightenment, and Pietism), congregational polity (the one and the many), liberal theological approach, and ecumenical spirit. She also takes a look at the tensions and boundaries contained within each theme. Hidden Histories 2 invites readers to enhance their knowledge of history as an important source of spiritual strength for these times. It also examines more deeply what it means for the United Church of Christ to celebrate its "unity in diversity." 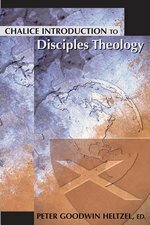 It explores such areas as Lutheran and Reformed Cooperation; German Evangelical Protestants; Origins of the Christian Denomination in New England; Evangelical Pietism and Biblical Criticism; Women's Mission Structures and the American Board; Religious Journalism; Philip William Otterbein and the United Brethren; From German Reformed Roots to the Churches of God; The Congregational Training School for Women; and Chinese Congregationalism. This best-selling book shares the history of the United Church of Christ, background on its predecessor bodies, explanation of its emblem, and Statement of Faith. History of the Evangelical and Reformed Church, Rev. Ed. This is a hymnal that invites us into a new century. The best hymns of the past are combined with exciting new hymnody from some of the finest contemporary poets and composers, reflecting the pluralistic church in which we worship today. The New Century Hymnal has been created with a high level of musical and theological scholarship -- including remarkable new translations of original texts. Its texts honor tradition while at the same time using inclusive language that will welcome and affirm all as members of Christ's church. In this collection of brief and very personal essays, eleven pastors and preachers "sound off" on the issues that get them so worked up they can't shut up! These aren't impersonal position statements, they are passionate arguments, rooted in faith, written from very personal perspectives. From pretending racism is over, to churches in denial about addiction, these writers address social issues and justice concerns that you probably have strong feelings about, too. What makes these pastors so mad? Well, there's Christian homophobia, using Jesus for political purposes, sloppy thinking about immigration, contempt for religion, income inequality . . . and more. Following each essay, you'll find several provocative questions for discussion or reflection.